Amorymeltzer created T221730: XTools should use the page creation log for "pages created" when possible (post June 2018). Amorymeltzer created T221381: Allow for multiple `leaction`s for `action=query&list=logevents`. Amorymeltzer added a comment to T220555: Evaluate collapsible form on HistoryAction (collapsed by default?). @Volker_E I'm not an expert and may be wrong/out of date, but aren't there either accessibility and mobile issues with collapsing? I vaguely recall DJ putting a lot of work in on that front. One issue I can see is that if you do use the form, the page applies the filters, but the box is collapsed upon reloading and there is no indication you are looking at filtered content without checking the url. Assuming people continue to infrequently use the filters it may lead to confusion. Amorymeltzer added a comment to T107069: Convert HistoryAction.php to use OOUI and MW's new DateInputWidget. @Jonesey95 I mentioned this in the link in T107069#5095549, but there was a block on pushing the latest version out (see email and T206678) that led to it being deployed Monday instead. This was listed among the many other changes in that version. Amorymeltzer added a comment to T219642: Disallow pinging notification with a link inside a signature. @Etonkovidova Did you see this from my original post? To further clarify, I think that'd be fine if that was the primary point of the page. But this box represents an obscure action that's barely ever used and now its pushing the primary use of the history page to be below the fold. @Xaosflux Agreed, but wasn't that the prior version (before ooui-ification) rather than an example? Amorymeltzer created T219642: Disallow pinging notification with a link inside a signature. Restricted Application added a project to T126186: Flow formats timestamps in my local timezone (possibly identified from my browser) instead of the timezone in my wiki preferences: Growth-Team. Amorymeltzer added a comment to T218808: Create user preference to enable unhide=1 by default. Wouldn't it make sense to fix this first before going down the route of another user preference...? Amorymeltzer created T218808: Create user preference to enable unhide=1 by default. Amorymeltzer created T218802: Show number of revisions deleted (like undeletion) in page deletion log entries. Amorymeltzer created T218788: Page history (articleinfo): Added text pie chart can be buggy with negative numbers. Amorymeltzer created T218479: Expose $wgFlaggedRevsNamespaces to JS. Amorymeltzer awarded T208800: Add id to user selector on Special:Contributions a 100 token. Amorymeltzer created T216704: Special:History on non-mobile device mishandles username revdel display. Amorymeltzer added a comment to T146418: Special:Contributions lists namespaces by index number, which is not intuitive. I alluded to this in my initial comment, but I actually think it's paramount. @D3r1ck01 Pardon my ignorance, but it's not clear to me from that patch how this will affect items not in that list, e.g. Module, Book, Draft, Education Program, etc. Will it sort everything, or will it sort namespaces 1-14+100+101, THEN sort the rest? I ask because while namespace numbers may not be known to the average user, the order has been standard for a while and is roughly correlated with how useful something is to a user. Amorymeltzer created T216183: Special:ProtectedPages times out on enwiki for Module namespace. Amorymeltzer awarded T215464: Oversighters can no longer see suppressed contributions past a certain date when using the offender parameter a Mountain of Wealth token. Amorymeltzer renamed T215464: Oversighters can no longer see suppressed contributions past a certain date when using the offender parameter from Oversighters can no longer see suppressed contributions past a certain date to Oversighters can no longer see suppressed contributions past a certain date when using the offender parameter. Amorymeltzer triaged T215464: Oversighters can no longer see suppressed contributions past a certain date when using the offender parameter as Unbreak Now! priority. Amorymeltzer created T215464: Oversighters can no longer see suppressed contributions past a certain date when using the offender parameter. Amorymeltzer created T214985: Treat diffs of first and last revisions the same. Amorymeltzer added a comment to T208649: Remove hiding of oversight block option on Special:Block. @Tchanders No, this is good enough for me! Clearly mentioned at https://www.mediawiki.org/wiki/MediaWiki_1.30/wmf.12#Core_changes even if it didn't last long. Appreciate having the history. @Tchanders That makes sense, thanks for clarifying. Was this change documented or noticed somewhere? I think it's a good solution, but was a jarring change. revi awarded T208649: Remove hiding of oversight block option on Special:Block a The World Burns token. revi awarded T208649: Remove hiding of oversight block option on Special:Block a Burninate token. Amorymeltzer updated the task description for T208649: Remove hiding of oversight block option on Special:Block. Amorymeltzer added a comment to T213548: When focus in is "Other/additional reasons" text field on "Delete" page, pressing Enter instead activates "Reason" dropdown field above. Amorymeltzer added a comment to T210739: Target deletion during page move fails. I don't think this has been noted explicitly above, but manually deleting the target page (at least for me) let it go ahead just fine earlier today. Amorymeltzer added a comment to T209664: "Prevent logged-in users from editing from this IP address" option is visible on Special:Block with accounts. Timing-wise, I suspect this is related to T208649, where the oversight block option is hidden in the same way. Amorymeltzer added a comment to T213229: "Prevent logged-in users from editing from this IP address" always shown when blocking accounts but has no effect. Correct me if I'm wrong, but isn't this a duplicate of T209664? Amorymeltzer added a comment to T208800: Add id to user selector on Special:Contributions. That's fair, though I only suggested the poor name to match, as with other elements. I stumbled upon it while looking at en:MediaWiki:Group-sysop.js, but perhaps it's best to just deal with inconsistencies en masse after everything is converted. Completion? The other selectors all have 'em. This should be carried over into T117736 but it stands out here as is. It'd be nice for anything wanting to access it to avoid $('input[name=target]'), as id is preferred for user scripts. Amorymeltzer created T212501: Add "Associated namespace" to Special:WhatLinksHere. Amorymeltzer added a comment to T212235: Automatically wrap excessive amounts of tabs instead of sending them flying off the side of the screen. Amorymeltzer closed T191834: Return Modern menus to non-vector-like/ooui appearance as Declined. Amorymeltzer updated the task description for T211910: Don't show misleading messages on Special:Contributions for IP ranges outside the CIDR limit. Amorymeltzer created T211910: Don't show misleading messages on Special:Contributions for IP ranges outside the CIDR limit. Amorymeltzer updated the task description for T206954: Enable wgRelevantUserName for IP ranges. Amorymeltzer added a comment to T121297: Allow changing visibility of multiple revisions on Special:Contributions/DeletedContributions. It'd be nice, if possible, to pair a solution for this with a fix for T23272 rather than mirror the issue there (i.e., checkboxes prevent display of oversight status to oversighters). Amorymeltzer awarded T206938: No acknowledgement when suppressing AbuseFilter entries a Love token. Amorymeltzer added a comment to T206938: No acknowledgement when suppressing AbuseFilter entries. @Daimona Not to further complicate your work on this, but one thing that is nice about the bulk revision delete system on history pages is that, if an item is already hidden and is then attempted to be hidden as part of a bulk revdel action, the page reports the error on that item but makes the change on all the remaining revisions just fine. Would this have a similar behavior? I'm likewise thinking of T144096 and avoiding creating duplicate entries vis a vis T206945 or T206938. Amorymeltzer added a comment to T150826: Remove unblockself right on wikimedia wikis (but allow blocked admins to block their blocker). Moreover, it just adds unnecessary complexity. I could understand allowing it in phases for advanced perm holders as 2FA is required for each in turn, but that still seems needlessly complex. Tgr's one-two punch would help with most situations, and at the least wouldn't make anything worse in the compromised 'crat scenario. Restricted Application added a project to T135000: RevisionDelete entries on Special:Watchlist should link to Special:Diff and Special:RevisionDelete: Growth-Team. Amorymeltzer awarded T144096: AbuseLog: add checkboxes for multiple hidding and unhidding of log entries a Cookie token. Amorymeltzer added a comment to T201850: gateway timeout when trying to get admin stats. @MusikAnimal Do you have dates/counts on those? In August and September I did a whole bunch of month-long queries and did some very long date ranges maybe a dozen times? Amorymeltzer added a comment to T207085: Suppressed edits remain examinable in AbuseFilter. @Daimona Correct, although to your last point, after deleting the page oversighting the deleted revision(s), the AF info was visible to a non-sysop. @Daimona Thanks again for dealing with this. Am I correct that this doesn't apply on edits that have since been deleted? This is probably closer to T44734, but as far as I can tell, if a page is deleted, and if one of its now-deleted edits is then suppressed, if that edit had initially trigged an abusefilter, that entry it still needs manual hiding. Amorymeltzer created T208800: Add id to user selector on Special:Contributions. Amorymeltzer created T208649: Remove hiding of oversight block option on Special:Block. Rxy awarded T207085: Suppressed edits remain examinable in AbuseFilter a Barnstar token. Amorymeltzer renamed T206945: Suppressing or unsuppressing an AbuseLog entry with that same suppression status creates a log entry and appears successful from Unsuppressing an unsuppressed AbuseLog entry creates a log entry and appears successful? to Suppressing or unsuppressing an AbuseLog entry with that same suppression status creates a log entry and appears successful. Amorymeltzer updated subscribers of T207085: Suppressed edits remain examinable in AbuseFilter. Please pardon me if I'm being naïve, but isn't the underlying issue that the AbuseLog doesn't follow revdel actions? In a perfect world, wouldn't AbuseLog entries/examinations of successful actions respect the revdel/oversight status of that action? This need not wait for that, but am I wrong in thinking that's the ideal long-term solution? Amorymeltzer removed a project from T207085: Suppressed edits remain examinable in AbuseFilter: acl*stewards. Amorymeltzer added a project to T207085: Suppressed edits remain examinable in AbuseFilter: acl*stewards. Amorymeltzer updated the task description for T207085: Suppressed edits remain examinable in AbuseFilter. Amorymeltzer triaged T207085: Suppressed edits remain examinable in AbuseFilter as Unbreak Now! priority. Amorymeltzer created T207085: Suppressed edits remain examinable in AbuseFilter. Amorymeltzer created T206954: Enable wgRelevantUserName for IP ranges. Amorymeltzer created T206945: Suppressing or unsuppressing an AbuseLog entry with that same suppression status creates a log entry and appears successful. Amorymeltzer awarded T206937: Allow for bulk suppression of abusefilter entries a Like token. Amorymeltzer created T206938: No acknowledgement when suppressing AbuseFilter entries. Amorymeltzer added a project to T206937: Allow for bulk suppression of abusefilter entries: AbuseFilter. Amorymeltzer created T206937: Allow for bulk suppression of abusefilter entries. 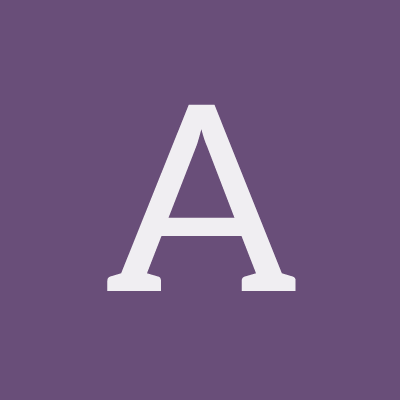 Amorymeltzer added a comment to T206642: Non-interface administrators can't view source of user .js pages. Yeah, blank/non-blank seems to be the issue; compare https://meta.wikimedia.org/wiki/User:TonyBallioni/vector.js and https://meta.wikimedia.org/wiki/User:TonyBallioni/global.js — the message is correct, but loading the "unauthorized page" for a blank page (like with creating another user's js) rather than "view source" seems unintended. Amorymeltzer awarded T204155: API links broken in docs a Love token. Amorymeltzer created T204155: API links broken in docs. Amorymeltzer updated the task description for T203731: Wrong background-color for Modern's "you have new messages" :hover state. Amorymeltzer removed projects from T203731: Wrong background-color for Modern's "you have new messages" :hover state: Modern, CSS. Amorymeltzer closed T203731: Wrong background-color for Modern's "you have new messages" :hover state as Invalid. Amorymeltzer created T203731: Wrong background-color for Modern's "you have new messages" :hover state. Amorymeltzer updated subscribers of T203518: Edit Counter: Show log revdels as well. @MusikAnimal I didn't want to be presumptive and assign this to you, but I did mean to ping you. Amorymeltzer triaged T203518: Edit Counter: Show log revdels as well as Lowest priority. Amorymeltzer created T203518: Edit Counter: Show log revdels as well. Amorymeltzer added a comment to T58845: Remove preference "Show talk page message indicator in my toolbar" (echo-show-alert). daniel awarded T201218: Viewing page's first revision via diff gives error a Meh! token. MusikAnimal awarded T201218: Viewing page's first revision via diff gives error a Cup of Joe token. Amorymeltzer added a comment to T201663: Remove position:relative in modern skin. I don't know about nuclear, but if that also fixed other things Isarra, then fabulous. What I was trying to suggest in T200148 was that altering the entire content box to tweak what was seemingly an issue of misaligned z-indexes between the notifications flyout and the toolbars appeared incongruent. Changing the coordinates setup is indeed easy enough, but then again it's not clear to me what else folks have customized that would change. Amorymeltzer triaged T201663: Remove position:relative in modern skin as Unbreak Now! priority. Amorymeltzer added a comment to T200148: WikiEditor toolbar overlaps Notifications flyout in Timeless and Modern skins. @Isarra Thanks for fixing this! I first noticed this as it affected the way my userpage displayed — easy enough fix, nbd — but what's the advantage of having position: relative in #mw_content (already present in Timeless, newly added to Modern) rather than removing it from or adding z-index: 0;to the toolbars, which seem to be the real culprit? Just curious, as it seemed backwards to me. Restricted Application added a project to T117740: Convert old Special:RecentChanges to OOUI (HTMLForm? ): Growth-Team. Restricted Application added a project to T117741: Convert old Special:RecentChangesLinked to OOUI (HTMLForm? ): Growth-Team. Amorymeltzer created T201218: Viewing page's first revision via diff gives error. Amorymeltzer added a comment to T200523: Popup title for a redirect should link to the redirect via redirect=no. @mb I (and the others) said it should link to the redirect. As in, when you put your mouse over a redirect, you get the redirect title, then the full popup for the target. If you click on the redirect title, it redirects you to the target, i.e. the redirect+target popup provides two links that amount to the same thing, which is a waste. If you want to go to the redirect, you need to click on it, get redirect, scroll up the page, and click on the "Redirect from" link. The appearance of the popup would not change. Amorymeltzer renamed T200523: Popup title for a redirect should link to the redirect via redirect=no from Popup title should link to the redirect via redirect=no to Popup title for a redirect should link to the redirect via redirect=no. Amorymeltzer created T200523: Popup title for a redirect should link to the redirect via redirect=no. Amorymeltzer added a comment to T197168: Fix slow Watchlist load and interaction times. Just to add, I likewise see significant improvements, thanks everyone! For the below URL and just over 6,200 pages, I'm seeing only maybe a second or two longer time than the old system. That's something like a 10-15 second improvement — Awesome! Amorymeltzer added a comment to T187947: Accessing notifications in modern shrinks the whole menu. One of the recent interface changes seems to have solved this particular issue, but has left those same icons significantly more cut off and off-center.